The November elections are almost upon us and it’s time for San Leandro Talk’s endorsements of candidates running for local office in Alameda County. My endorsements and recommendations are based upon personal or phone interviews, questionnaires sent to the candidates and other research on them. I only endorse candidates that I believe are truly progressive, support a clean government agenda, transparency and accountability. My recommended candidates may not fulfill the same requirements, but they are still the best progressive choices in their respective races. Cullen Tiernan is new to politics. He spent most of his adult life in the Marine Corps, where he served as a combat correspondent in Iraq, Mozambique and other countries I had no idea the US military was involved in. Yet he emerged from that experience as an optimist and a peace loving, community-first, problem-solving progressive that is ready to roll up his sleeves and work for a better America – and a better Fremont. 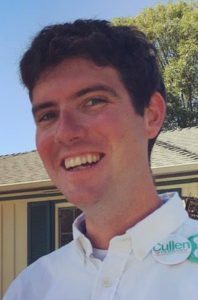 As the son of the editor of a political magazine, Cullen always understood the importance of politics, but he got his first taste of grassroots political activism when he joined the Bernie Sanders campaign. “I share Bernie Sanders’ belief that ‘we are all in this together,'” Cullen told me “and I was impressed by Bernie’s willingness to speak out about the corrupting effect of money in politics.” Cullen organized volunteers, knocked on doors, made phone calls, and put his communication skills to work. 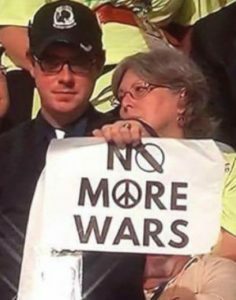 Eventually, he was elected as a delegate to represent Sanders at the Democratic National Convention in Philadelphia. That is how we met and where I got to witness his courage in speaking truth to power and his kindness in showing respect for all points of views and treating everyone with dignity and consideration. Those are exactly the qualities that will make him an effective City Councilmember. In practical terms, Cullen wants to bring government to the community: reach out to all the different neighborhood and ethnic groups that live in the City and make sure their views are taken into account before the City Council moves forward with any proposals. Sounds simple, but in practice it seldom ever happens. Cullen is already initiating hundreds of these conversations. While some of Cullen’s plans are very ambitious – he wants to end homelessness for veterans (to begin with) in Fremont – others are more concrete. He supports helping multi-unit buildings to install charging stations for electric cars and wants to turn the Fremont animal shelter into a no-kill shelter. Ultimately, it’s his overall vision of Fremont as a city that puts the community first and his willingness to watch out for the interests of citizens which really impress me. 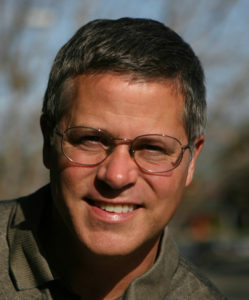 I’m particularly comforted that, true to his Bernie Sanders roots, Cullen is not taking money from developers or running with the support of the Police Union – two institutions that have traditionally manacled the Fremont City Council and forced them into bad decisions both in terms of development and of curtailing civil liberties. Indeed, Cullen is in the “clean money” slate, which also includes Vinnie Bacon and Lily Mei, who is running for Mayor. I am recommending Vinnie Bacon for the second City Council seat up for election this November. Vinnie is the only incumbent running and I’ve had the pleasure of serving with him in the Alameda County Democratic Central Committee, so I know him well. An environmentalist with a masters degree in Urban Planning, Vinnie is by far the most progressive Councilmember in Fremont today. He has also vowed to not take money from developers and and indeed, he has been often the single vote against badly planned developments. I respect that he stood up to the very machine-driven Democratic Party, chose to no longer seek the Party’s endorsement, and has chosen to run in a “clean money” slate with Cullen Tiernan and Lily Mei. This takes a lot of courage and integrity. I’m recommending him, rather than endorsing him, because of a couple of votes that I find problematic. He supported placing surveillance cameras in Fremont, despite ample academic work that shows surveillance cameras do not serve to reduce crime, and he voted to ban medical marijuana patients from growing marijuana in their backyards and from having it delivered from elsewhere. As Fremont does not have a dispensary, this forces medical marijuana patients who are not healthy enough to travel outside Fremont, to suffer without access to the medicine they need. At this time, I am NOT MAKING A RECOMMENDATION FOR MAYOR given that both candidates, incumbent Mayor Bill Harrison and Council Member Lily Mei have cast problematic votes (e.g. in favor of the marijuana ban) and neither has responded to my questionnaire or my invitation to meet. 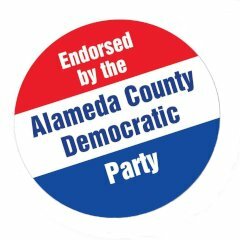 Every election, the Alameda County Democratic Central Committee (ACDCC) endorses candidates for non-partisan local offices in the County; only registered Democrats can apply for the endorsement. Well over a hundred candidates were interviewed by the Executive Committee, and over 70 were put on the consent calendar to be automatically endorsed by the Party at the September 17th meeting, around 30 more candidates were nominated for the endorsement and will be interviewed by the full Committee on that date. It takes two ACDCC members to either pull a candidate from the consent calendar or nominate them for endorsement – and this election most ACDCC members were very reluctant to do so: only four candidates were pulled from the consent calendar and only 8 candidates were nominated, I participated in all but one of these actions. Below is a list of the candidates on the consent calendar, and those who have been nominated and will be interviewed on the 17th. Links are to their questionnaires, when they’ve submitted one. The comments are my own. I also nominated Hari Titan for Piedmont School Board, but was unable to find a second. No other candidates for this race were nominated or put on consent.